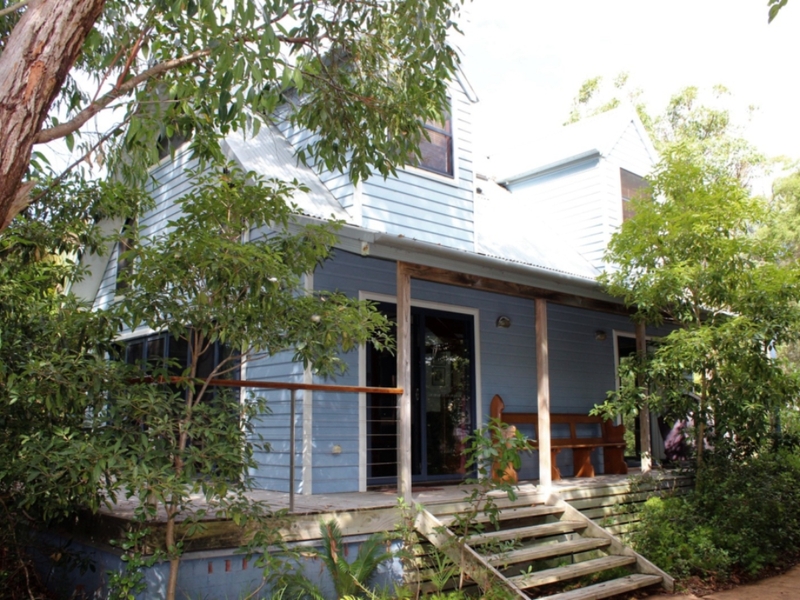 This delightful 2 bedroom holiday cottage is in a fabulous location, within easy walking distance to Glorious Jimmy’s Beach and the Magical Myall River. All living areas and laundry/bathroom are downstairs with bedrooms upstairs. Features include quality appliances and furnishings such as dishwasher, microwave, gas BBQ and outdoor setting. Two off-street parking spaces. A frame timber home with wrap around verandah on the Winda Woppa Peninsula in Hawks Nest. Between Jimmy's Beach and The Myall River. The property is not fenced. timber floors, facing back yard with glass sliding doors.